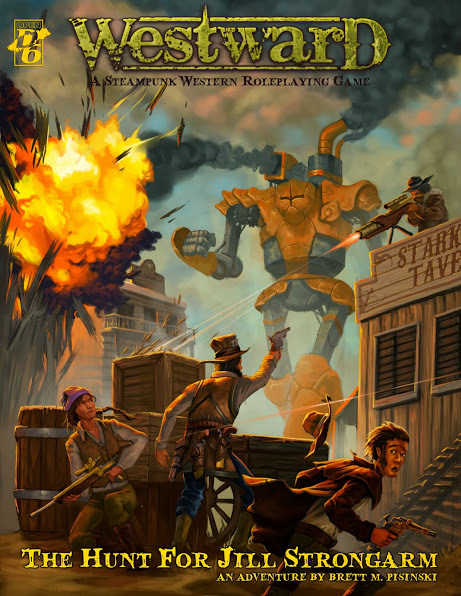 Many thanks to our friends over at Old Gamerz Studios who recently posted an in-depth, two part review of Westward: A Steampunk Western RPG – Go check it out! The Hunt For Jill Strongarm will flesh out and continue to main story arc presented within the pages of Westward Corebook. I’m extremely thankful to have assembled a great team who continue to challenge me, and push me way outside of my comfort zone. The playtests for the adventure are drawing to a close within the next couple of weeks, and that’s when I hope to have the writing finished up for the adventure. I anticipate that the adventure will be available both as a PDF download, and a physical book. If you have any questions at all, please do not hesitate to contact us.